Hey everyone its me K back with my next book review. This is another one by my current favorite author Rayne Hall. 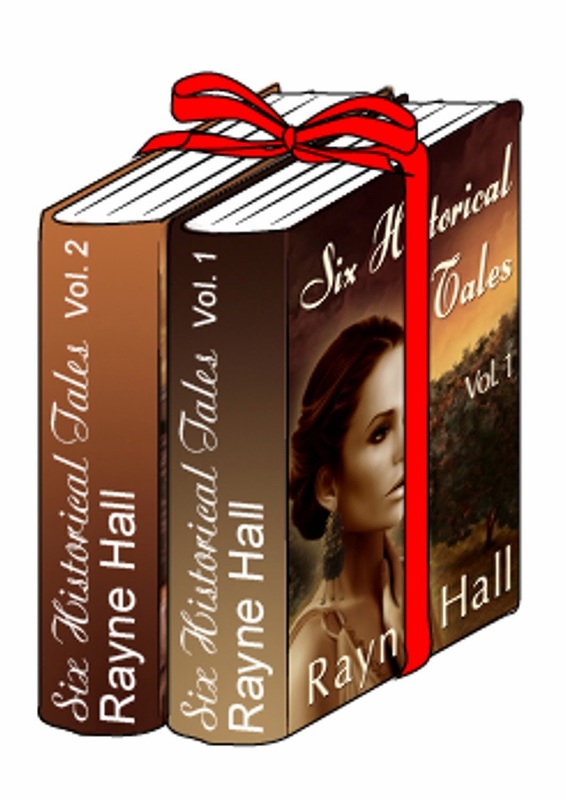 This one is called Historical Tales: 2-book bundle and you can get if from Amazon for $0.99 here. My dislikes are that 7 of the 12 stories were in 30 scary tales. I didn't like this because I like to read new stories not the same ones that are put into other books. I mean I am ok with one or 2 being repeated which can happen but 7 come on thats over half of the book. Some of the stories were based off of Greek tales which makes the name "Historical Tales" kind of ironic because that makes you expect that they are based off of real stories not Greek legends. Also, some of the stories were a little short to be even called a story. * Arete - Which is a story about a woman who angers Zeus (a Greek God) and has to be turned into a wolf for a few years and as a wolf can not eat a human because if she does she will have to remain a wolf forever. * Prophetess - This one is about a woman who can see the future and knows everyone in Troy will die but, everyone thinks that she is cursed so no one will believe her when she tries to tell them. I have my next book review chosen but have yet to start on it so I can't even give you a teaser but I hope that I will like it and that you will too.